December | 2016 | The Glyn Watkins Show Page. First press. City Gent bigs up the Bring Back St. Blaise’s Festival 2017. Bring Back St. Blaise Festival (Woolly Fringe) takes shape. More events needed! Help Bring Bradford’s forgotten Saint back! but he still needs help & support! For info search #bringbackstblaise or see www.bradwan.com. and all our shared histories(and have a bit of fun in early Feb.). From 2nd Feb. Bring Back Great Knits Exhibition at Bradford Cathedral. Knitting with a Bradford link or a story. Friday 3rd. Bring Back St. Blaise Evening at Salamander Brewery. Pictures, stories and some music. With Saint Blaise’s Armenian Ale available. Saturday 4th. Bring Back St. Blaise Procession. Guided walk of about 7000 steps around Bradford. Starting at the Record cafe, North Parade. Meeting 10.00. Setting off 10.30. Cathedral; Paper Hall; Wool Exchange; City Hall; Jacobs Well; Priestley Statue; Bradford Beck; Lord Clyde; Kirkgate; finishing at the Sparrow before 13.30. Sunday 5th. Bring Back Blaise Wool Day at the Bradford Industrial Museum. A small exhibition on Bradford and Bishop Blaise; the Guild of Spinners and Weavers will be demonstrating; there may be music; and the Sparrow will be running a pop-up bar. Any event happening over the weekend can be in this festival. It is a woolly fringe fest. Join hands and thus increase. 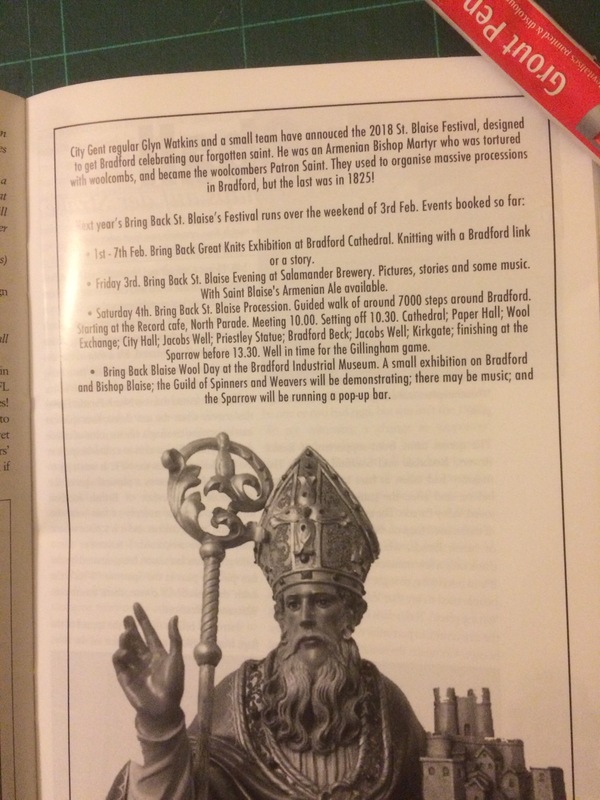 Finally a contact form for The Bring Back St. Blaise’s Festival. First link. St Blazey (Cornwall). 2016 St. Blaise poster. <a href=”https://www.cornwalls.co.uk/St-Blazey”>St. Blazey, Cronwell.</a> has a St. Blaise Church; and celebrate on his feast, 3rd Feb. Below is the 2016 poster. We will post up their 2017 when we get it. The Bring Back St. Blaise’s day Festival is on the UP! Glyn’s Šporki. What Dubrovnik eats on St. Blaise’s Day. Šporki is a slow cooked stew with pasta eaten in Dubrovnik on St. Blaise’s Day (3rd Feb.). Apart from using chinese 5 spice instead of cinnimon and ground cloves, and starting by frying bacon in lard, because I forgot lard is pig fat, I followed the recipe. I may be forced by circumstance to stay very still and quite for a while. Leastways as quiet as I can manage whilst asleep (which witnesses claim is even louder than when I am awake! 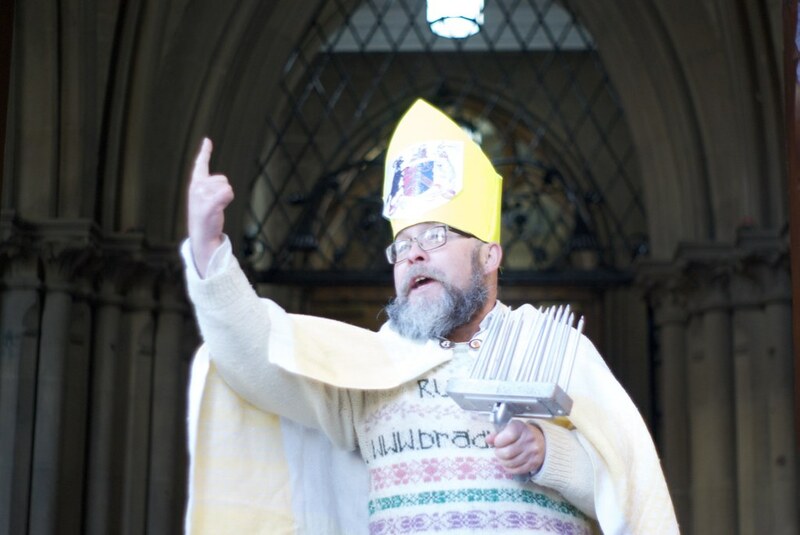 First International contact for Bradford’s Bring Back St. Blaise’s Festival, with Dubrovnik! Martin, a Friend of the Festival, is in Dubrovnik, and has made contact with the organiser of their massive celebration of St. Blaise! Who was excited that he was from Bradford. 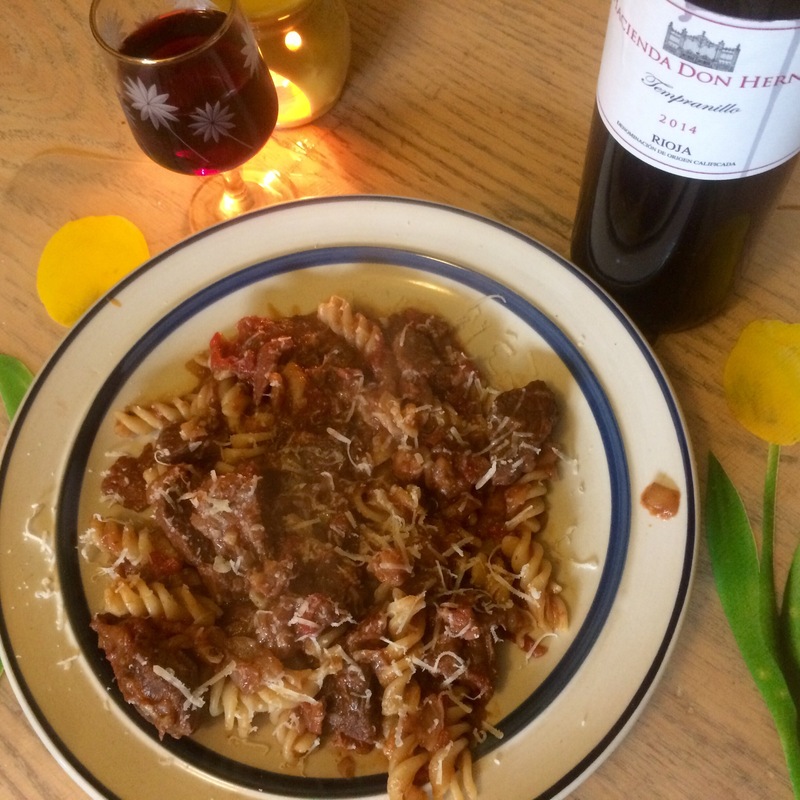 Following on from that we also now know that macroni with meat sauce, followed by hrostule donuts, is their traditional lunch on the feast day.